Dirty warehouse, industrial kitchen, fire damage, tar, oil or paint spillage? Discover our full range of services. Staff supervision, attendance monitoring and training is key to a quality service. Is Health and Safety causing problems for your business? 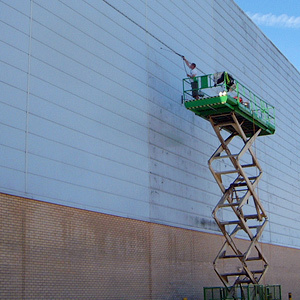 Take a look at our ladderless cleaning services. 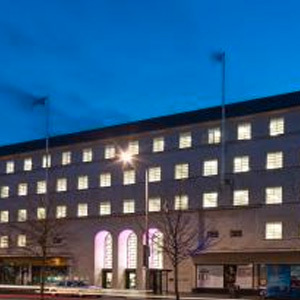 Our quality service with ISO recognised working allows us to confidently work on any sized project. 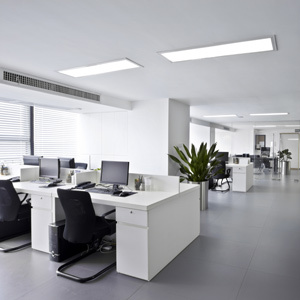 We specialise in office cleaning, commercial cleaning and industrial cleaning throughout the midlands. Ace Cleaning Company. The Industrial, Commercial & Office Cleaners. Ace Cleaning has built up a solid reputation as premier Industrial and Commercial cleaners. 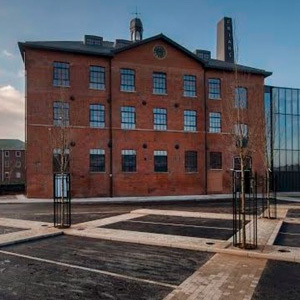 We have offices in Leicester, Coventry and Tamworth providing cleaning services across the midlands. 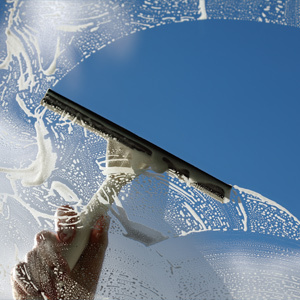 We have over 200 skilled and experienced operatives providing superior professional cleaning services, so whether you need one-off cleaning, or full industrial cleaning, commercial cleaning or window cleaning, we can provide cleaning services to meet your requirements. We pride ourselves on offering our clients competitive rates, together with a comprehensive and consistently high standard of cleaning services. Ace Cleaning Company's forty five years experience in the provision of cleaning services will ensure that you get the best possible value whether you're a start up business, or a well-established company. Call our Leicester office on 0116 255 1955 for a free evaluation of your needs. Cleaners work well as a team, standards in school are good. It’s a difficult site to clean but the Ace staff always respond to our requests in a timely manner. Really impressed with the level of support onsite staff receive from management. Supervisors and Quality Control always about support & improvement. The idea of an independent Quality Auditor really adds value and gives us the reassurance of high quality. We were uncomfortable with changing companies and the issue of TUPE, but Ace management handled everything and kept us well informed. Transferring staff thoroughly retrained and now perform as required. Great service, cleaners are always polite and accommodating. Staff are an asset to the company and really understand our needs. Cleaner does a great job and holiday cover is always there.